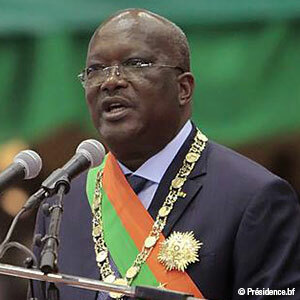 On 29 November 2015, Roch Marc Christian Kaboré, leader of the People's Movement for Progress (MPP) won the presidential election with 53.49% of votes, or 1.67 million votes of the 3.12 million votes casts (60% voter turnout). For the first time since the country's independence in 1960, a civilian without a military past has risen to the nation's highest office. The election formally marked the end of the fragile political transition following the ousting of former long-term President Blaise Compaoré in October 2014. However, President Kaboré is no stranger to Compaoré's regime. He served as his prime minister from 1994 to 1996 and president of the National Assembly from 2002 to 2012. He headed President Compaoré's Congress for Democracy and Progress (CDP) party until founding his own party, the People's Movement for Progress (MPP) in January 2014. At the time, he distanced himself from President Compaoré and his plans to run for a third mandate, also criticising the internal, "undemocratic" governance of the CPC party. Holding a master's degree in economic science and a MBA from the University of Dijon in France, he started his professional career in the banking sector. At the age of 27, under the presidency of Thomas Sankara, he served as director general of Burkina Faso's largest Bank, the International Bank of Burkina Faso (BIB). Drawing on his experience as an economist and banker, President Kaboré has developed close ties with the private sector and has gained a reputation for his networking and consensus-building skills. He is the son of a former minister of Burkina Faso and vice-governor of the Central Bank of West African States (BCEAO), Charles Bila Kaboré, who started his career as a teacher under the colonial administration.